SlimLibrary is a remote control and player for your Logitech© Media Server. View any album image you upload to your server, the back cover for example, on your table or smart phone. Play your music on your device. 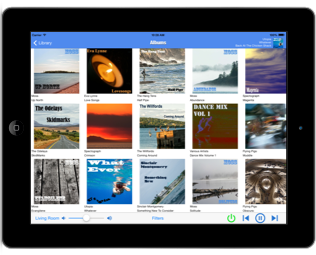 SlimLibrary is a LMS player, so you can stream and play your music to your device. Browse your entire music collection. Use SlimLibrary to browse your entire music collection. Combine multiple artists, genres and years in your album filter to find exactly what you are looking for. Sort results in ascending or descending order. Order by Date Added. SlimLibrary is now available for the Apple TV. Download from the Apple TV App store today. Use SlimLibrary to browse your entire music collection. Use enhanced album filters to find anything you are looking for. Play your music on your device. SlimLibrary is a LMS player. Stream your music to your tablet or smart phone. View videos on your device. * requires the SlimLibrary plugin to be installed. Combine multiple artists, genres and years in your album filter to find exactly what you are looking for. Sort results in ascending or descending order. Order by Date Added. * requires SlimLibrary plugin to be installed. Scan and upload the back cover of the CD and the CD booklet and use SlimLibrary to view them on your tablet or smart phone. 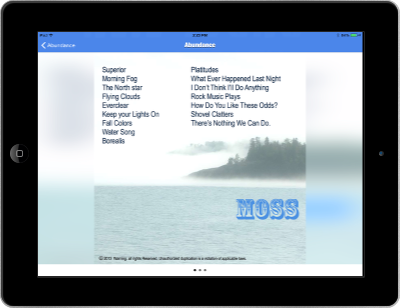 Upload a text file containing album information and SlimLibrary will display the content on your device. SlimLibrary separates the artists in your collection into 'main' and 'compilation' artists for easier viewing. Quickly access the most important controls. Quickly access the app from your today view. Swipe down on your smart phone or tablet to access the today view, from where you can access the SlimLibrary app by tapping on the album image, or access the most important playback controls. 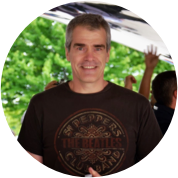 With the SlimLibrary plugin activated on your server, you can view your videos, that you have uploaded to the server, on your tablet or smart phone. Video formats supported are all the formats supported by Apple. 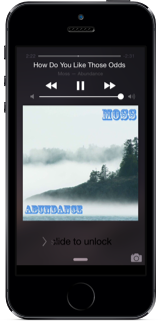 SlimLibrary is a LMS player, so you can stream and play your music to your device. Configuring an alternate host on the app, makes it easy and convenient to take your music on the road. * requires WIFI connection to your LMS server.